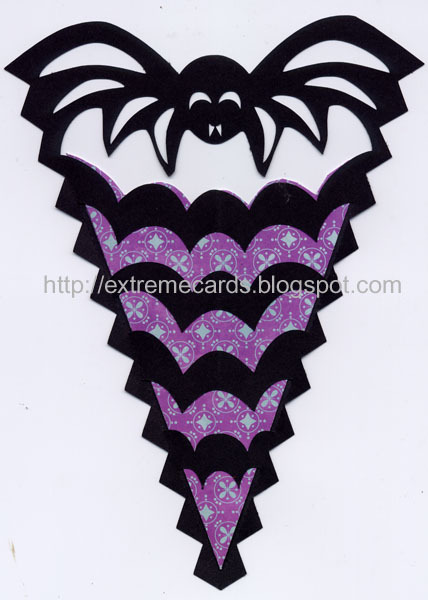 Some of my favorite Halloween projects from Extreme Cards and Papercrafting. 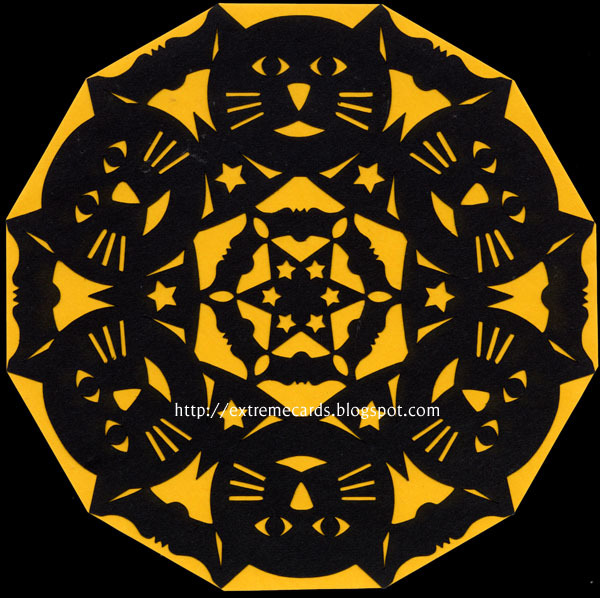 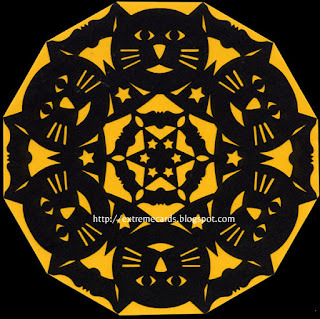 This bat, cat, and hat, Halloween themed snowflake (also good as a wreath or doily) is made from dingbats from Halloweenies and Bats-Symbols. 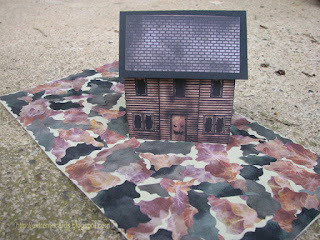 Modified from the haunted house printable from PaperToys. The mouth is a little tricky on this skull card, but the rest is easy. 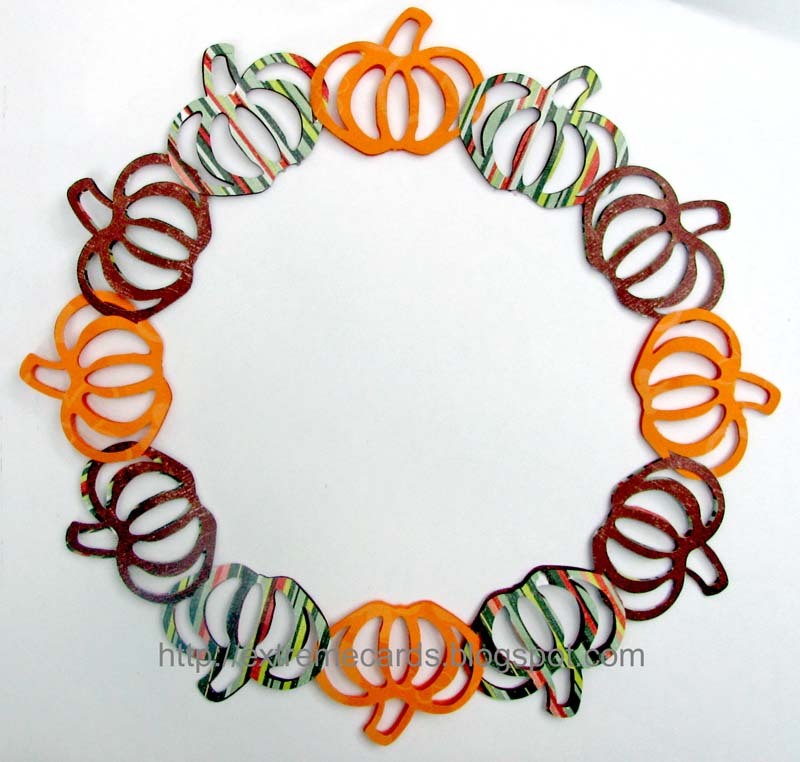 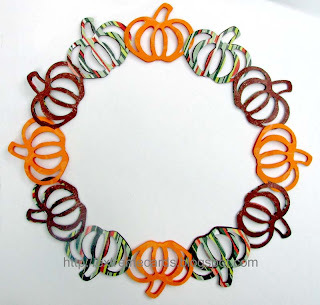 A paper chain joined to make a wreath. 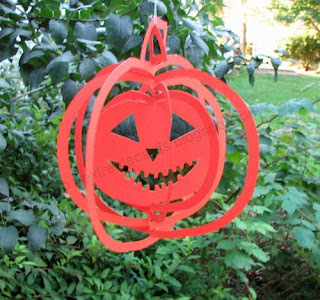 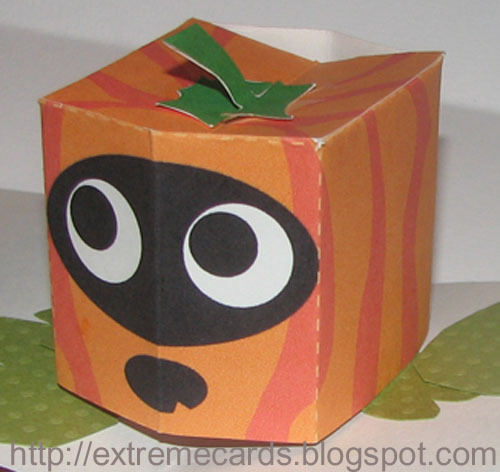 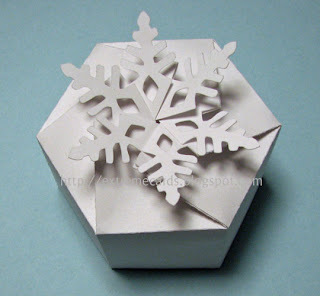 Printable pumpkin cube from Paper Box World easily modified to make a pop up card. The solid version of the pumpkin sliceform. 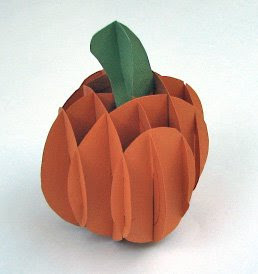 There's also a lattice (open) pumpkin sliceform. 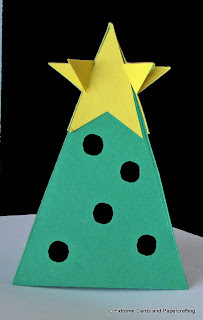 The triangle pocket is ingeniously woven through the black paper to create a two-sided pattern. 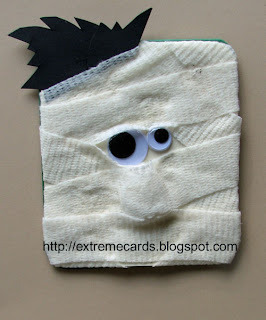 Actually a sympathy card for someone with a concussion, but it could work as a mummy. 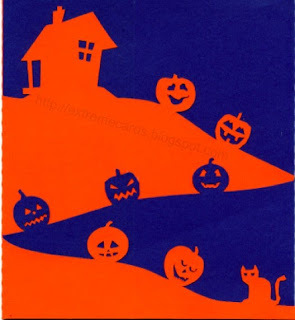 More fun with dingbats. 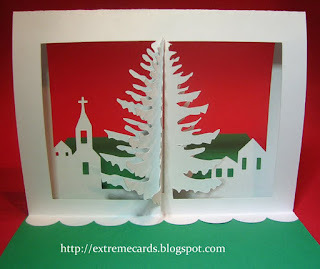 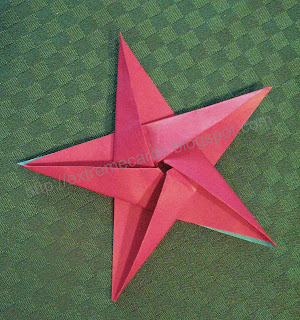 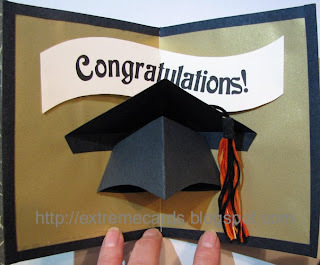 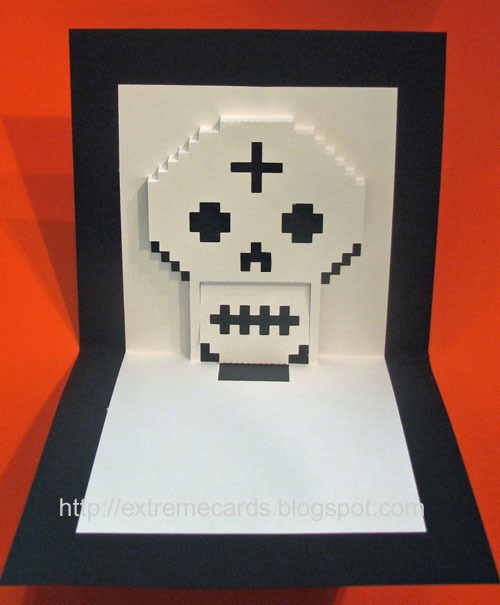 This is made with two colors of card stock, alternately folded across in layers from the right and left. 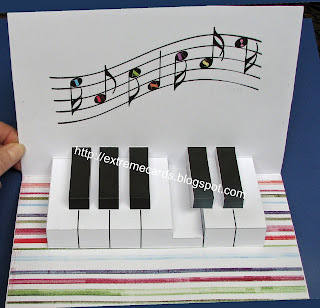 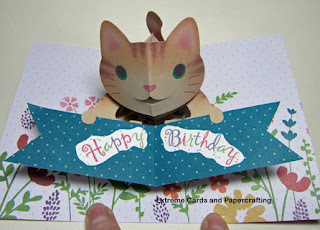 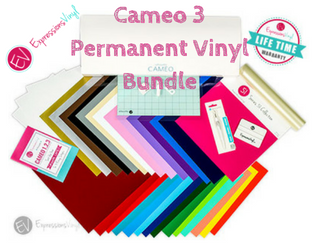 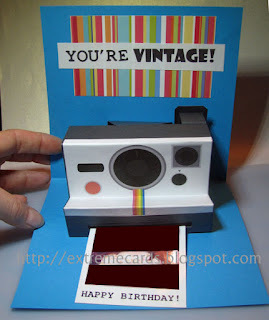 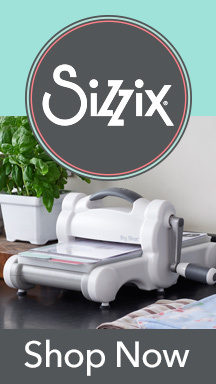 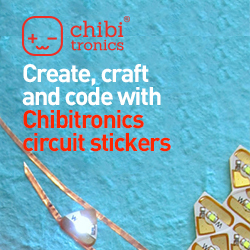 Extreme Cards and Papercrafting: pop up cards, movable and mechanical cards, digital crafts and unusual papercrafts.